Whether you’ve been breaking your back on the job for years, or just starting out in the construction industry, getting your builder’s license will help you on your path to success. 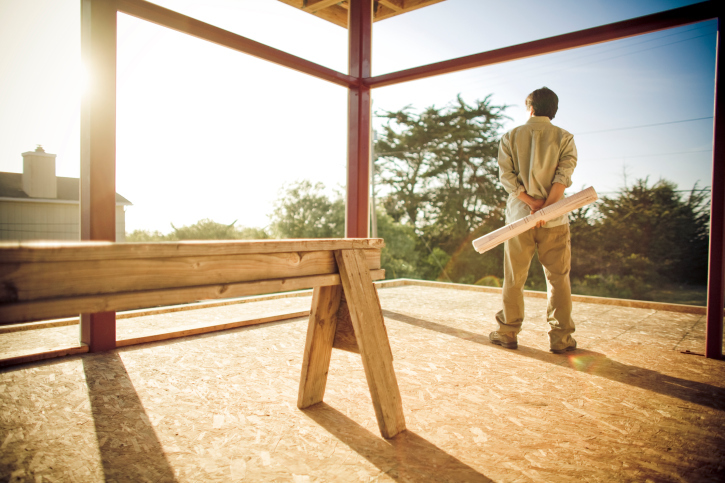 The process for getting your builder’s or contractor’s license varies from state to state. No matter your location there are resources available for getting licensed. Generally, it costs at least $100.00+ (always non-refundable) to sit for a licensing exam. There are some states that require a minimum number of days before you can retake a failed exam like Minnesota with a 30 day waiting period. So taking the time to complete an exam prep course is always a money saver, time saver and a good idea. Step 2 – Send in the License Application – the license application for your state can be found by going to your state’s website. Providers of exam prep courses should have a link to State applications along with the exam prep information in the course instructions. The applications are generally available for download so you can print them from home. Once the application is filled in completely, send it to the appropriate office (stated on the application) along with the licensing fee (also listed on the application). Double check your application before mailing or you could be waiting weeks until it is put back on the processing fast track! It generally takes 2-4 weeks for a problem free application to be processed. Keep in mind that your state, like Wisconsin, may require one application for the builder and one for the business. Michigan also requires a second application to tie your builder’s license to your Corporation or LLC. And naturally, each application has a fee of its own. Step 3 – Taking the Licensing Exam – Register with your state’s testing company to sit for your licensing exam. The examination company may be nationwide like PSI which covers Alabama, Arizona, and Utah, to name a few or Prometric which tests in Massachusetts and Oregon. Or the exam may be state administered as in Minnesota. Your exams can be “no books allowed” as in Michigan, or they may provide the book as in Minnesota. “Open book exams” where you are allowed to take books into the exam with you are the norm for many states including Tennessee, Virginia and Georgia. The testing agencies are very specific on which books are accepted. Your exam prep provider should have this information or you can contact the testing agency or the state. Once I have my builder’s license, how do I make sure it doesn’t expire? When the state requires continuing education, the State will send or email you a renewal notice which should arrive 3 to 6 months before your renewal date. The renewal notice may have a box to check and a place to sign confirming that you have completed the required continuing education, as in Michigan. Other states such Massachusetts and Kentucky require that the Certificates of Completion for your continuing education be sent in with your renewal fee. Some states like Florida, Oregon, and Wisconsin, require the continuing education provider to submit student completion information directly to the state. Regardless, make sure you always receive a Certificate of Completion for every continuing education course immediately after completion. Always retain the certificate just in case of an audit. Your CE provider should also be able to provide accurate records of your CE history. For exclusive deals on exam prep and continuing education courses, subscribe to our blog through the subscription button at the top of the page.